New to Become More Compelling? Join thousands of ambitious overthinkers who have supercharged their group conversation skills using tested strategies in this audio training. Yes, it even has tested word-for-word scripts to get you started today. 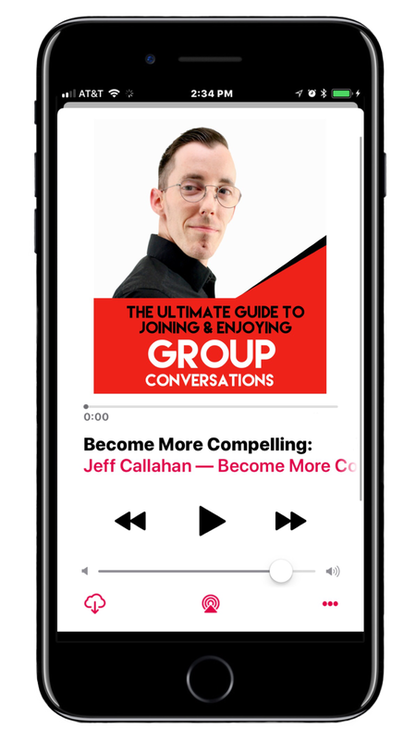 Listen to Become More Compelling Radio, the podcast where I have conversations with people skill, charisma, and persuasion experts. ​You'll learn solid strategies to take action and level up your people skills FAST. Level up your people skills and charisma by reading the blog. Psst...click the blue button to download this free audio training!